MILAN, ITALY -- Prysmian Group, world leader in the energy and telecom cable systems industry, has been recently awarded nbn’s “Supplier of the Year” for 2015 on the occasion of nbn’s strategic supplier summit. Prysmian makes and supplies the optical ribbon integral to nbn’s national network and was recently awarded exclusive supply of all of nbn’s copper cable requirements. “We are particularly proud of this award as the cables we make for nbn are made here in Australia, in the Sydney suburb of Dee Why. It’s a truly outstanding achievement recognising the superlative contribution of many, many people in Prysmian”, said Danny Doyle, Prysmian Commercial Manager Telecom - Australia and New Zealand. “The nbn™ is Australia’s largest infrastructure project, and the companies involved in building it are the best in the world at what they do. It is from this field that Prysmian has won this award. We are simply delighted that our long term strategy to manufacture locally continues to be of significant value to our customers,” said Mr. Doyle. Prysmian’s first cable contract with nbn was awarded in 2011. “It has been our responsiveness to the ramp-up in 2014, our continuous support in research and development and the close working connection our Production and Commercial teams that have allowed us to react quickly to the increasing nbn rollout demands”, said Frederick Persson, Prysmian Australia CEO. This award reiterates Prysmian’s position as the leading supplier of optical and copper cables to the telecom industry in Australia and New Zealand, and worldwide. 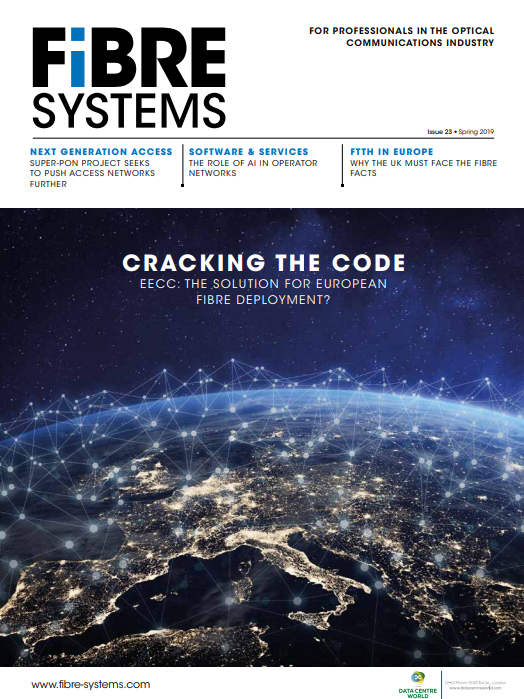 The Group is constantly developing new cabling and connectivity technologies to bring information wherever it is required, thus proving itself once again fully committed in helping the development of the New Generation Networks (NGNs). These networks are destined to become the infrastructure carrying the entire socio-economic system, as all services to citizens will be carried through the Network. The demand for high-quality optical fibre is therefore bound to grow in the next few years with the spread of NGNs.